Edward Yau outlines time frame for analogue TV cut off. Hong Kong will go fully digital in television broadcasts from November next year when analog services are switched off. Digital TV promises better reception and greater picture and sound quality, while it also allows for high-definition TV (HDTV), interactive TV and datacasting services. The Secretary for Commerce and Economic Development, Edward Yau Tang-wah, said today about 175,000 households will be affected by the switch-over. "For most Hong Kong residents, their access to free TV services would not be disrupted after the analog switch-over. For the remaining analog TV users, we encourage them to get prepared in the coming 21 months or so. To access DTT services, they can switch to a digital TV set, or add a set-top box if their old TV set is still functioning well," Yau said. At the end of January this year, the Executive Council decided that the analog TV should be switched off on November 30, 2020 at 11:59pm and that full digital television broadcasts should start at midnight of December 1, 2020. Yau said today the government will apply for funding for the Community Care Fund in the middle of the year to subsidize purchases of digital TVs or DTT set-top boxes by low income households, or the elderly. Digital terrestrial TV was launched on December 31, 2007 and covers nearly the entire population on Hong Kong. ATV and TVB launched digital terrestrial television services at end 2007.
compared with about 80 percent in 2014. Of the remaining 12 percent, (about 300,000 non-DTT households), 7 percent, or about 180,000 households, were receiving analog TV and 5 percent, or about 120,000 households, reportedly did not have a TV set at home. 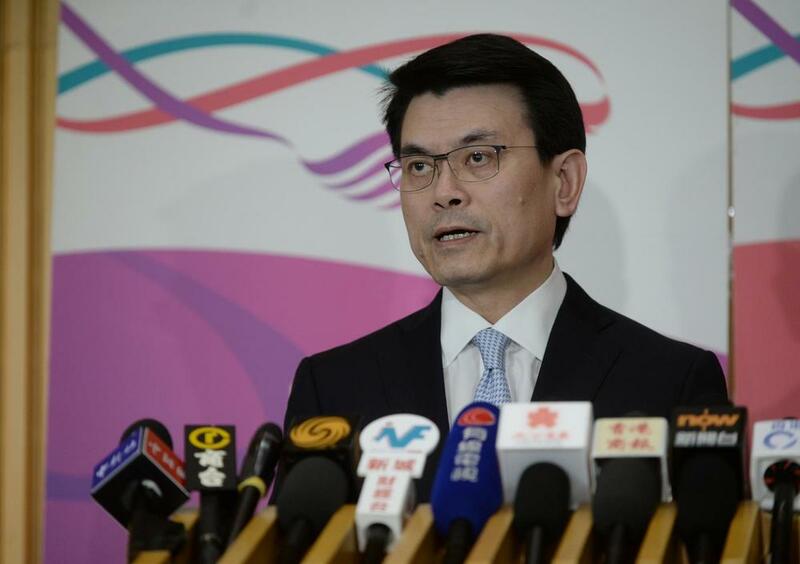 RTHK has estimated that the one-off expenditure for setting up a temporary transmission system and move to the DTT transmission network will be between HK$15 million and HK$25 million, lawmakers were told last month.